Recently, I commented on a rather absurd list that was doing the rounds, and which called itself “100 Books You Can’t Live Without”. Since the best way to respond to a list one doesn’t like is to make up one of one’s own, I thought it might be fun to have a go. All lists are a bit silly, and my list below is no exception. The problem with making up any list such as this is, of course, all those items one has to exclude. But for all that, the list below does provide, I think, an accurate reflection of my literary tastes and values. But first, one has to make a few rules. I decided to exclude reference books (dictionaries, encyclopaedias, and the like). And I decided to exclude art books: I have in my library a number of beautifully illustrated books on art and architecture, but since this list is intended to reflect my taste in literature rather than my taste in the visual arts, I have decided not to include them. 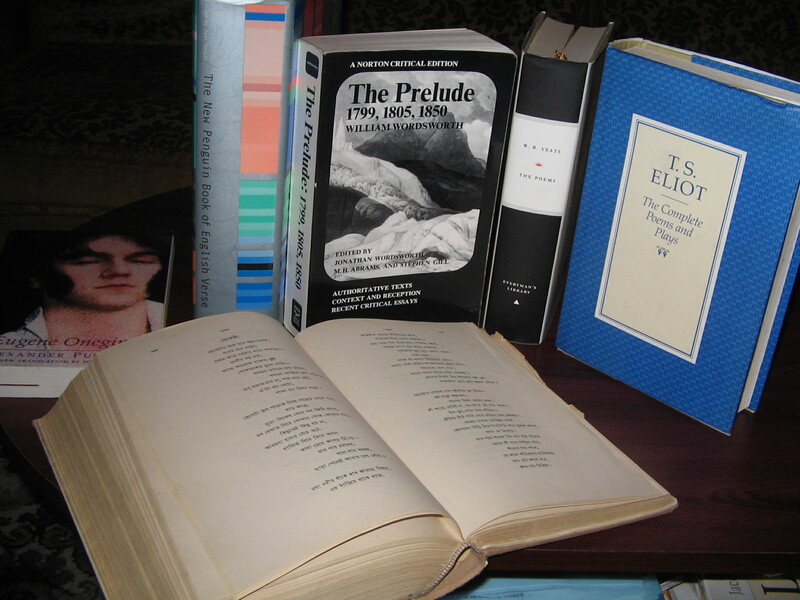 And I decided to exclude also the “Collected Works” – although it seemed reasonable to make exceptions for collections of short stories, and of poems. One could easily find omnibus volumes packed full of the collected works of favourite authors, but selecting such volumes does not indicate which of those works are the most valuable to me. If I were to choose, say, The Complete Works of William Shakespeare, then I’m putting The Two Gentlemen of Verona on much the same level as Twelfth Night in my preferences – and that’s just silly. Of course, one has to be careful not to pack the list with too many works by the same author: it would be all too easy, for instance, to include some twenty or so of Shakespeare’s works. But a list such as this should ideally give some indication of the range of one’s literary interests. 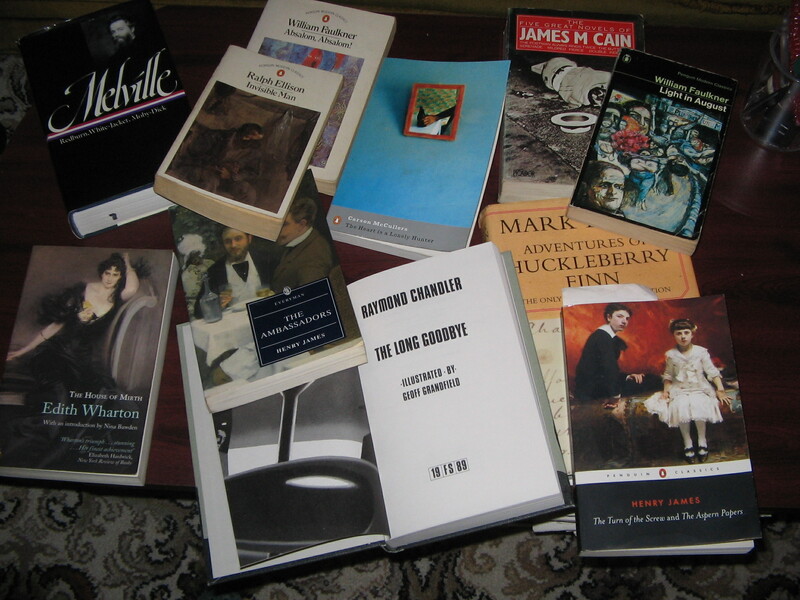 And finally: I have only chosen books that I have read; or, in the case of collections of poems or of short stories, books that I have read at least in part. There are many books I haven’t yet read, but think I’d like as and when I come round to doing so: these books I have not included. For books in translation, I have indicated the translation I have read; or, in cases where I have read more than one translation, I have indicated my preferred version. Well, that’s enough of a preamble: let’s get started! I haven’t had a classical education, but one can’t take a serious interest in literature without at least some knowledge of the Classical world. 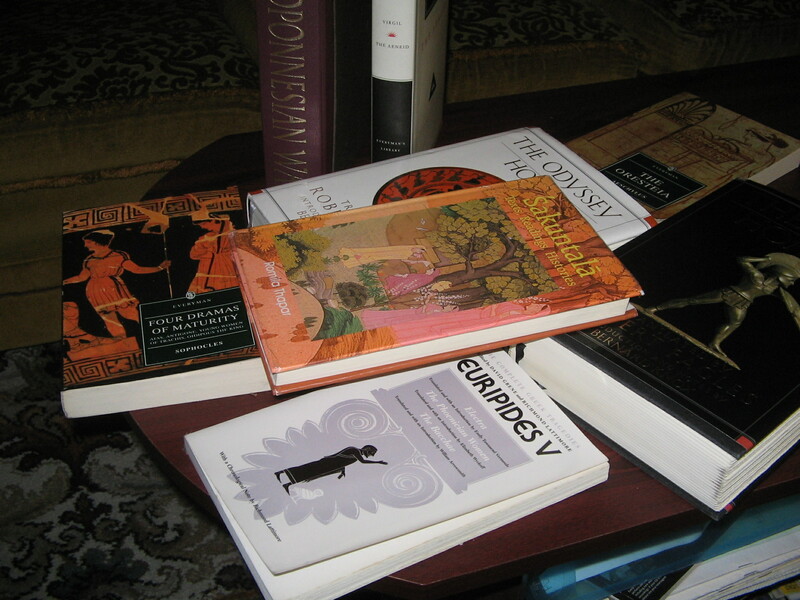 The three great epics – The Iliad, The Odyssey, and The Aeneid – are surely mandatory reading. I have been particularly taken by Greek tragedies, and collecting (and reading) different translations of the Oresteia of Aeschylus has become something of a hobby. Alongside these tragic dramas, I had to pick the Peloponesian War of Thucydides, which is as great a tragic masterpiece as any written by the dramatists. And, from a very different classical culture, I have picked Sakuntala by Kalidasa, a play whose vision penetrates beyond the tragic world, and imagines – much as Shakespeare was to do in his late plays – a world in which all losses are restored, and sorrows end. No, I haven’t read all of the Bible. But I do intend to. And I have chosen the Authorised King James version. I am not too keen on using this version as a stick with which to beat the more modern translations, as many of these modern translations seem very fine to me. But for all that, it’s the King James version that lovers of literature tend most often to turn to. 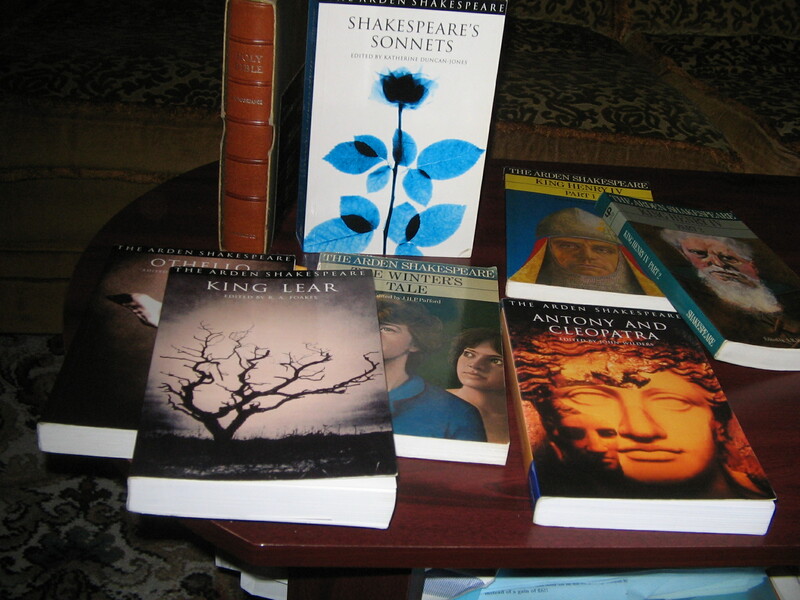 As for Shakespeare, I had to limit myself to only a few. I’d probably nominate Wordsworth and Yeats as my two favourite poets in the English language (Shakespeare excepted, as ever!) 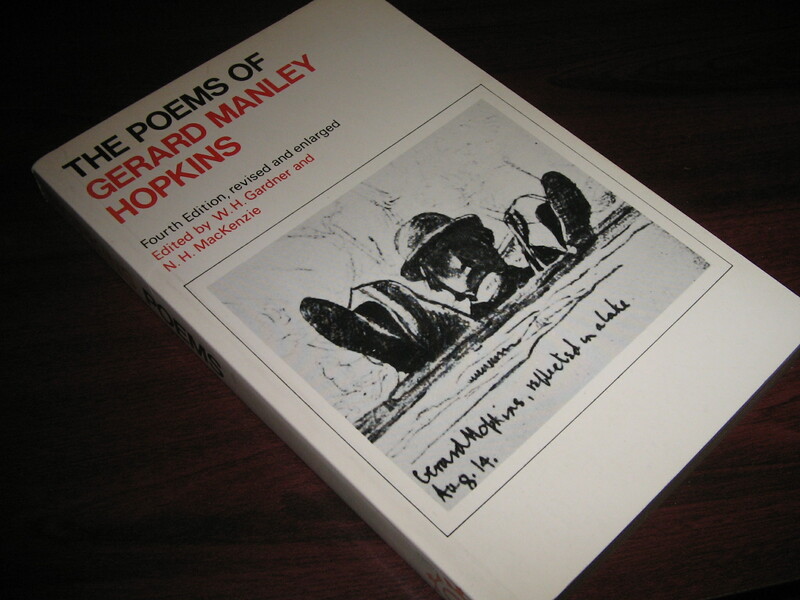 But perhaps the most indispensable volume of English poetry is a good anthology. I grew up with the New Oxford Book of English Verse edited by Helen Gardner, but the anthology selected above by Paul Keegan is bigger, and more comprehensive. The only poetry I have chosen in translation (apart from the classical works mentioned earlier) is Pushkin’s Eugene Onegin, a work of Mozartian wit and elegance, and which, also like Mozart’s music, is sad even when it seems happy and playful. 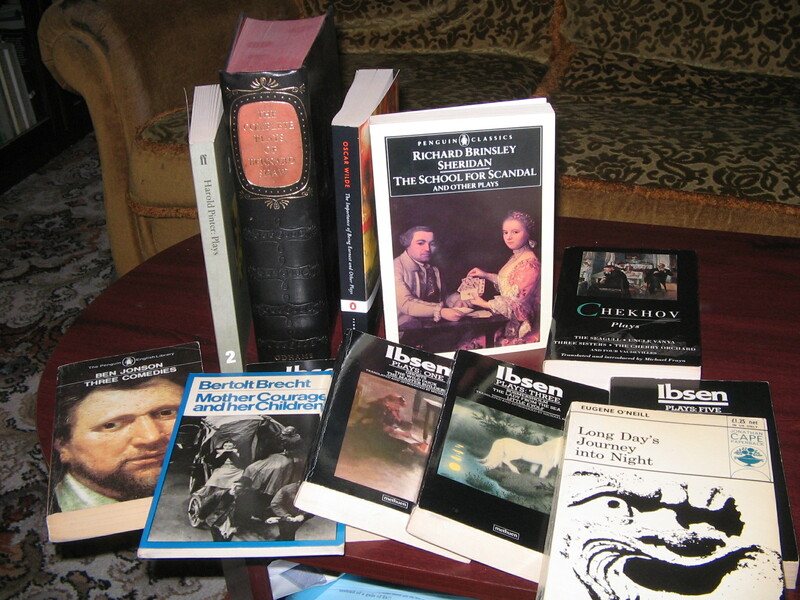 I do love reading plays, and, as can be seen from the list above, am a particular fan of Ibsen’s. But quite apart from the doom and gloom – I love comic drama, and wouldn’t think of leaving out such comic plays as The Critic, The Importance of Being Earnest, and something by Shaw, who, for all his fads and for all his highly dubious politics, couldn’t write a dull line even if he wanted to. I love ghost stories. Ideal reading for the dark, winter nights, especially with the icy wind howling outside, and the bedside lamp throwing weird shadows around the room. 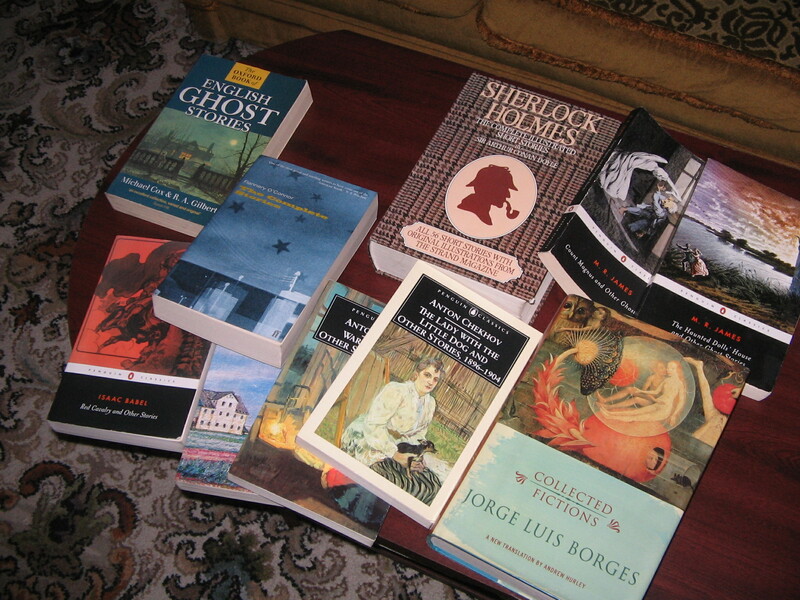 And, of course, the volume of Sherlock Holmes stories, which is a permanent fixture on my bedside table. I have excluded Austen because I do not feel myself to be quite on her wavelength; and I have included five titles by Dickens because he is one of those writers to whom I find myself feeling very close. I’d have liked to have included more by Defoe, as I think he is seriously underrated as a novelist. 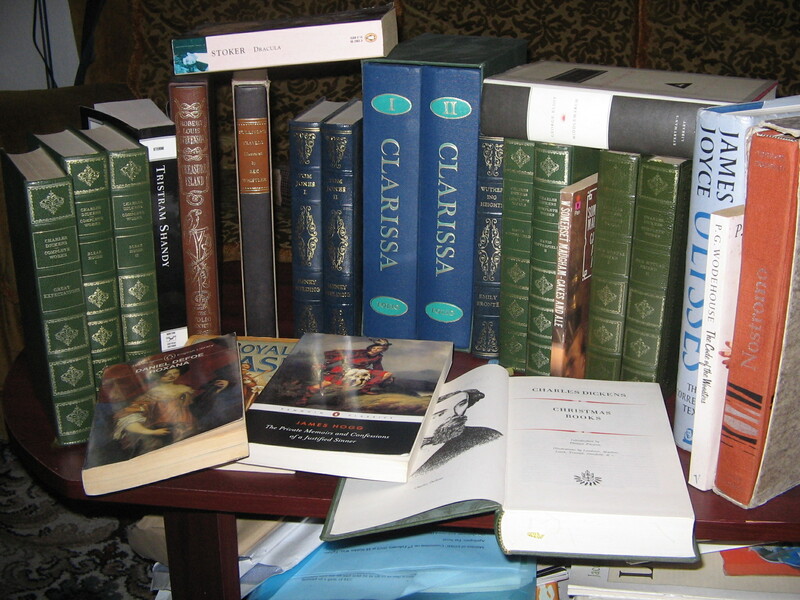 Many, I imagine, are put off by the sheer length of Richardson’s magnificent Clarissa, but the neglect of James Hogg’s demonic Private Memoirs and Confessions of a Justified Sinner is more difficult to understand. There is quite a bit here that qualifies for the label “light literature” – from the childhood favourite Treasure Island (has there even been an adventure story better written than this?) to the splendid Gothic excesses of Bram Stoker’s Dracula. Sadly, I have had to limit Wodehouse to one, so I chose what I think is one of the best. I also had to limit George Macdonald Fraser’s Flashman series to just one title, and I picked Royal Flash, his re-working of The Prisoner of Zenda, which, if anything, improves on its model. And I couldn’t resist including W. Somerset Maugham’s delightful Cakes and Ale, which manages to be warm and cynical at the same time. 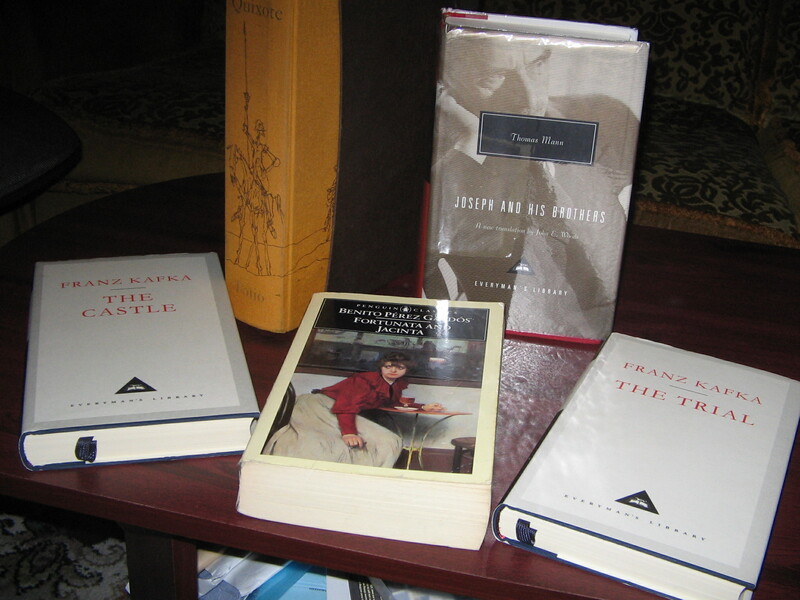 Given my love of ghost stories, I had to include The Turn of the Screw, which is possibly the finest of the lot; and, also, a more substantial Henry James novel. Generally, I find myself attracted by Southern authors. I have already picked the weirdly compelling short stories of Flannery O’Connor, and I had to pick Mark Twain, William Faulkner and Carson McCullers. Faulkner, especially, is a great favourite of mine, although I appreciate he won’t be everyone’s cup of tea. In recent years, there have appeared two highly acclaimed modern translations of Don Quixote – one by John Rutherford, and the other by Edith Grossman. The next time I read Don Quixote, I will try out one of these. But for now, my favourite translation is that by Tobias Smollett, who was, of course, a fine novelist in his own right, and whose Humphrey Clinker very nearly made this list. His translation has about it a vigour and an energy that I have not found in any other. Speaking of translations, John E. Woods’ recent translations of Mann have been revelatory. I had previously considered Mann humourless and overly Teutonic, but now he emerges in a completely different light. I have been told that the German prose of Joseph and his Brothers is extraordinary; not knowing German, I cannot comment on how well or otherwise Woods has captured the quality of that prose, but his rendition is extraordinary in its own right. Time after time, I found myself re-reading passages for the sheer delight of experiencing once again the quality of the writing. The novel itself – or, rather, this tetralogy of novels – is a re-telling of the Biblical myths of Jacob and of Joseph, and is a vast meditation on the nature of mythology, man’s aspirations towards the divine, and the emergence of what we recognise as human values. It is among the most magnificent works of fiction I have encountered. Kafka’s two novels are, once again, automatic choices. And that leaves Fortunata and Jacinta by Benito Pérez Galdós, which possibly ranks with James Hogg’s Private Memoirs and Confessions of a Justified Sinner as European literature’s best-kept secret. And I couldn’t even find space for Turgenev! The tremendous flowering of the Russian novel wasn’t, I think, restricted merely to the 19th century, as, I think, the above list amply demonstrates. Proust’s cycle of novels is normally ranked with Joyce’s Ulysses as the greatest of the last century – although, personally, I do think Mann’s Joseph and his Brothers belongs to this company. Having only read through Proust once, I can’t say I’ve done much more than to dip my toes into it, but what little I got out of it left no doubt of the work’s stature. It is something I need to soak myself in once again, and get to know better. Narayan is still, for my money, the best Indian writer of English. Somehow, he makes novel-writing seem so very easy. And, no matter how serious the themes he deals with, he is never less than elegant and charming. Out of the many novels of his I could have chosen, I have gone for Mr Sampath, the Printer of Malgudi, one of the best. The count is a bit misleading, since a single page of poetry can require as much reading as a full-length novel. The writer who appears most often on this list is Shakespeare, with 7 titles, followed by Ibsen, Tolstoy and Dickens with 5 each. But it’s hardly a reasonable measure, as virtually the entire works of a poet can usually be contained in a single volume. I am aware of all the omissions on here, but while there are many more books I’d love to include, I really can’t think of any from those listed that I’d be happy to take out. So, for what it’s worth, this is my list. And I’d encourage anyone else out in Blogland to create their own list, and put up a link here. Thank you very much for indulging me – it’s been great fun. Much that had struck me on my first reading as dramatic and exciting struck me on the second as mere hysteria. But that isn’t really a fair judgement. Dostoyevsky knew how to depict hysteria convincingly: he often took us into the character’s mind, and depicted the hysteria as it develops and grows. An obvious example of this is Raskolnikov in Crime and Punishment: there, the feverish delirium into which his mind descends is entirely believable. In The Brothers Karamazov, Dmitri’s growing hysteria in Book Eight (“Mitya”), or Ivan’s descent into delirium in Book Nine (“Brother Ivan Fyodorovich”), are, once again, believable and frightening in equal measure. But what are we to make of cases where characters are introduced already in a state of hysteria? Where we do not observe the development of the hysteria,as such, but are presented with the hysteria from the very beginning as a sort of fait accompli? For Dostoyevsky does that as well. But I wonder: could it be possible that comedy is Dostoyevsky’s intended effect? He was, after all, a skilled comic writer. If comedy is the intended effect, I am not really sure what purpose it serves, since Katerina Ivanovna does play a dramatic role in the proceedings. Why present her as a sort of Gogolian grotesque? I can’t say I know the answer to this, but I am fairly certain that whatever comedy there is in those scenes involving Katerina Ivanovna, it was not unintentional. Dostoyevsky could judge his tone better than to create unintentional effects. But to play serious, dramatic scenes for laughs in what is, after all, a dramatic novel does seem, to say the least, rather eccentric. Fine novel, I’m sure, but as I said in another post, I’m not really the greatest fan of Austen. I don’t dispute her stature – but I’ve never managed to enjoy her works. Says more about me than about Austen, I know. I did read the first part a long time ago, but found it a slog. I do not feel any attraction for the fantasy genre at all, I’m afraid. It goes off the rails a bit toward the end, I think, but for all that, it does hit upon a number of archetypes, and the childhood chapters are particularly good. Very good children’s literature, I’m sure, but it’s not too high on my personal reading list. One of those books everyone is supposed to have read – but I haven’t. What – all of it? I’ve read bits and pieces of it, and will get round to all of it some day, I’m sure. Yes – full of remarkable images and ideas, if a bit short, perhaps, on characterisation. One of the old boy’s finest. See here, and here. I have very ambivalent feelings about Hardy the novelist, but yes, this is a fine novel, if not necessarily amongst my personal favourites. I’ve long thought of this as a minor masterpiece. It seems to me primarily to be about an adolescent, on the threshold of adulthood, who cannot come to terms with his grief for his dead brother. The reputation of this book has suffered badly, I think,because it is often seen as a sort of handbook of teenage rebellion. I really don’t think it is. I read it as a teenager, and at the time, it didn’t make much of an impression on me. I must tackle it again. I can’t say I feel too strongly about Waugh either way. I re-read this last year, and found much that was jaw–droppingly brilliant side by side with much that seemed to me crude. At its best, though, it is magnificent. Wonderful novel. And, if anything, John Ford’s film version is even finer. As charming a children’s book as I can think of. How can one choose between Anna Karenina and Warren Peace? No other novel I know is so crammed full with so many memorable characters. The early section, especially, is possibly the finest re-creation in fiction of a child’s mind. I came to Britain aged 5, not knowing any English, and, by the time I knew enough English to be able to read books in the language, many of the children’s classics had passed me by. This is one of them. Marvellous novel, to be sure, but once again, I must plead a blind spot when it comes to Austen. The warmest of Austen’s works. To my surprise, I quite enjoyed this. But no – I don’t think I’ll ever make the grade as an Austenite. I thought we have already had The Chronicles of Narnia! How strange! I know some fans of this book, but it has never really attracted me for some reason. Unlike The WInd in the Willows, which seems to me charming, this has always struck me as being a bit twee, and I have never felt the urge to read it. A simple idea, perfectly executed. I found it a very sad book the last time I read it. I am not a fan of magic realism, I’m afraid. García Márquez if obviously a quality writer (I loved Chronicle of a Death Foretold) but I’m sorry to say that this one frankly bored me. Marvellous Gothic thriller – one of the best. Yes, a fine novel, but for Hardy, I think I prefer The Mayor of Casterbridge, or Jude the Obscure. But then again, I’m not really a Hardy fan. I read this a long time ago, and the memory is vague. But I have read it – I know that! This one’s high on my reading list, as I’ve been told it’s hilarious. As with other novels by Austen, I admire it more than I like it. Fine for what it is, but I find it disappointing that a great novelist at the peak of his powers should take on a subject such as the French Revolution, and make no more of it than a historical romance. As with Nineteen Eighty-Four, full of memorable ideas and images. I prefer Huxley’s earlier novels though – the brilliant comedy of Crome Yellow, Antic Hay and Point Counter Point. Written from the point of view of a boy suffering from Asperger’s Syndrome, this is cleverly done, but, perhaps, too much has been made of what is in essence a rather slight work. I loved that first half, but the second half seemed no more than a list of sexual encounters, and very quickly outstayed its welcome. A classroom favourite, as it is a pretty good novella that is easy to read and easy to understand. From what I know of this, I’d have to be paid a lot of money to read it. Probably my favourite Hardy novel. 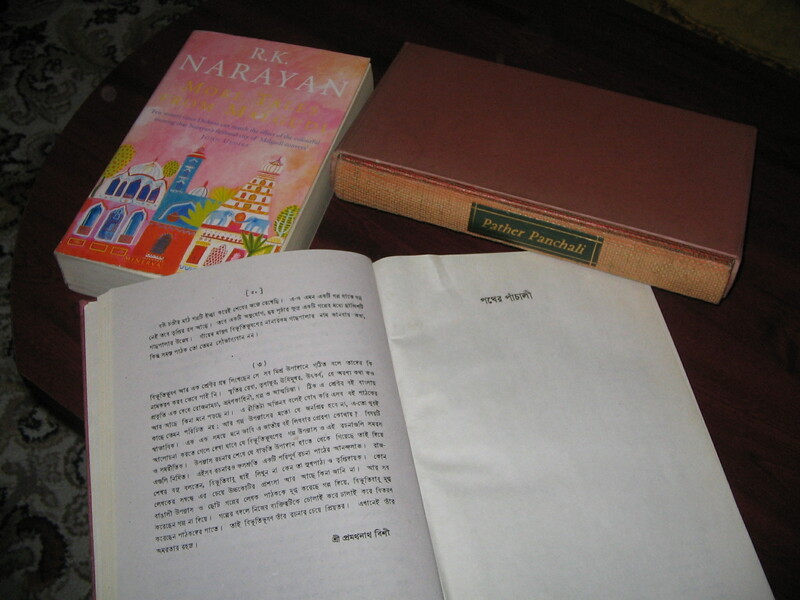 The Western literati’s idea of the archetypal Indian novel – even though the writer has lived in the West for virtually his entire life; writes exclusively in a Western language; does not, by his own admission, know any Indian language well enough to read it, or to write in it; and whose principal literary influences are the Western writers Gabriel García Márquez and Gunter Grass. This is representative of Indian literature in the same way that chicken tikka masala is representative of Indian cuisine. None of this necessarily makes this a bad novel, as such, but I personally found it meretricious. Huge work, full of flaws, but the marvel is that it was written at all. Magnificent. Early Dickens – full of colour and vitality. Readers looking for depth, or depictions of the characters’ inner lives, may be disappointed, but the novel does convey a powerful sense of menace. And there is no other novel, surely, that contains so many iconic scenes and images. A great favourite of mine – ideal bedtime reading for the dark winter nights. The opening section compising Jonathan Harker’s diary is genuinely frightening. Was ever a novel of such stature such great fun? 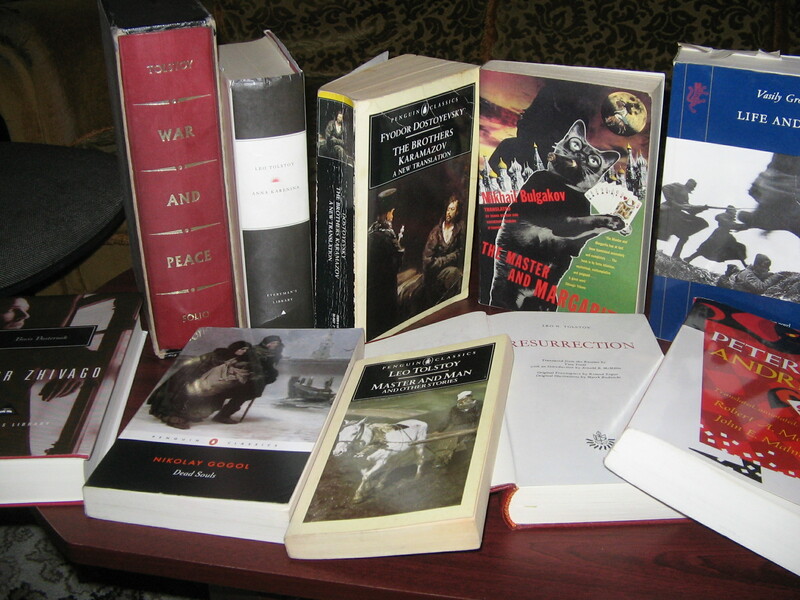 Ranks with War and Peace and Bleak House as my personal favourite. I have loved just about everything I have read by Zola. I probably don’t rate this one quite as highly as, say, L’Assommoir or Nana, but it’s a superb novel all the same. Wonderful, sparkling work. Becky Sharp is among fiction’s great characters, and more than makes up for the dullness of Amelia Sedley and of Dobbin. Once again, I know admirers of this novel, but I don’t get the impression that this will be my kind of thing. One of the great modern myths. No matter how frequently it is parodied, or derided for alleged sentimentality, it never fails to delight and to move. The film bored me to tears, but it’s obviously unfair to judge a book from the film adaptation. This one rather unfairly overshadows Flaubert’s other work, but is a great masterpiece all the same. Oh yes, please! What would I read at bedtime if I didn’t have the Sherlock Holmes stories? A very short novel, but it packs a huge punch. I went through a bit of a Conrad phase about a couple of years ago: this one is among his very best. I was a bit disappointed with this. The characters could have come out of Viz – which is fine, but it doesn’t really allow much scope for development. Splendid stuff. I could read the adventures of d’Artagnan & co all day. We have already had the Complete Works of Shakespeare! Who compiled this list? I read this when our children were growing up, and it’s easy to see its appeal. Another book I must get around to some day. So how many is that, then? I make if 53. But what a strange list, to be sure! Well – if you don’t like a list, there’s only one thing to do about it: make up your own! I’ll try to compile my own list of “100 books I can’t do without” by this weekend – and I’d encourage others out in Blogland to do the same. Watch this space, as they say! Quite early in the novel, in a chapter entitled “Women of Faith” in David McDuff’s translation, Dostoyevsky gives us a striking depiction of grief. A peasant woman has come to speak to Father Zosima. She has lived through the death of all four of her small children, and the last of this series of tragedies has broken her completely. She cannot think of anything, she cannot do anything: she has given herself over completely to grief. Father Zosima tells her what we would normally expect a religious person to say – that her dead child is an angel in heaven. But, the woman asks, what good is that to her? She wants to see him here, on earth. Zosima understands that there is nothing he can say to alleviate the woman’s grief: this, he knows, is “Rachel weeping for her children, and would not be comforted, for they are not”. At one point in this scene, the woman draws from her breast “a gold-embroidered gold sash that had been her little boy’s”, and, at the mere sight of it, begins sobbing yet again. From my previous reading, I remember this motif being repeated in a passage towards the end of the novel where a father, returning from his son’s funeral, sees his dead son’s shoes, and breaks down in tears, clutching the shoes to his breast. Of course, such passages are not mere digressions in a novel whose central theme is that of human suffering, but I doubt too many other writers would have depicted so overpowering an emotion with such disconcerting directness. But Tolstoy, I think, would. Tolstoy and Dostoyevsky are often held to be extreme opposites, and, in many ways, they are, but at points such as this, they seem to touch. 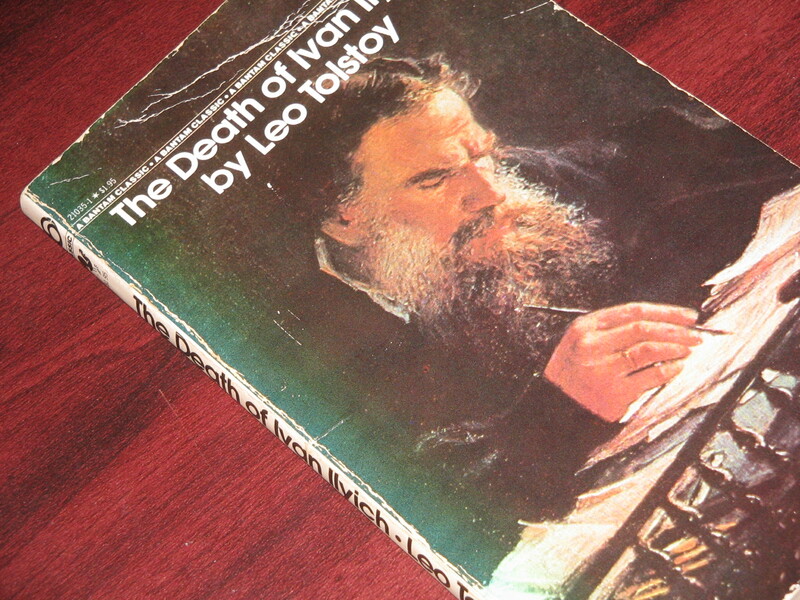 For Tolstoy, too, depicted human emotions with a disconcerting directness. The scene between Father Zosima and the peasant woman could easily have been written by Tolstoy. Neither Turgenev or Chekhov, I think, would have allowed themeselves a scene of such open and overwelmingly powerful emotion. True, Tolstoy would not have made Zosima a monk: Tolstoy hated established religion, and would, most likely, have made Zosima a wise peasant. But at points such as this, I wonder if Tolstoy and Dostoyevsky really are as far fromeach other as they are often made out to be. Authors are often drawn to the story of growing up, and its not hard to see why. For one thing, this is one area where everyone may write from their own experience; and this naturally attracts lesser writers who lack imagination to enter the minds of those very unlike themselves. But many writers of quality also find themselves drawn to this theme. Some are unashamedly autobiographical e.g. Wordsworth in The Prelude, the first part of which describes how the poet had rejected various grandiose themes for the one that interested him most – himself. Others are more loosely autobiographical. But one suspects that there are reasons for the popularity of this theme beyond mere self-regard. For one thing, the growing-up story allows the author to explore the theme of developing perceptions. It also allows the author to explore the values of the world, of the society in which the protagonists are expected to take their rightful part. It offers the author the opportunity to view the world, as it were, afresh, and contemplate the very nature of life itself. 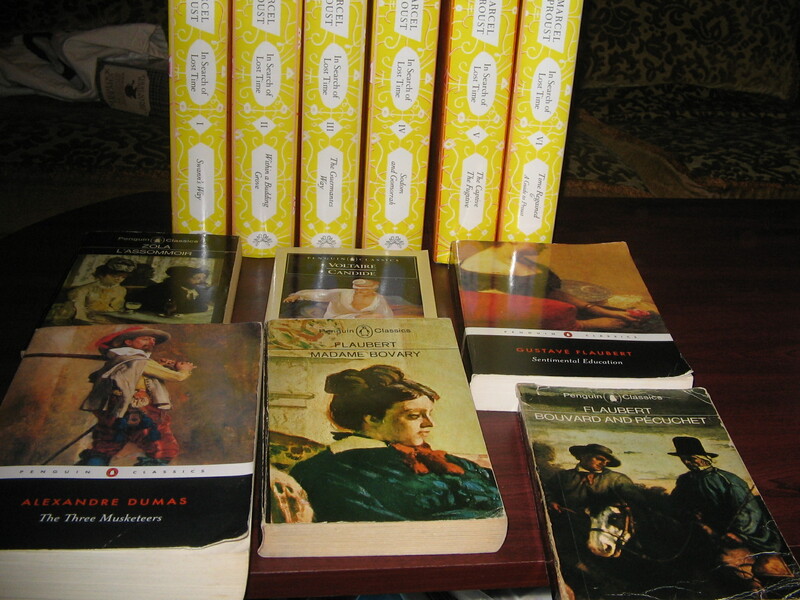 We find all of these, and more, in two remarkable novels written within a few years of each other in the 1860s: Great Expectations by Charles Dickens, and L’Education Sentimentale by Gustave Flaubert. Dickens and Flaubert were, temperamentally speaking, poles apart, and the two novels, as may be expected, are very different in all sorts of ways. But beyond the differences, what is remarkable are the similarities. The titles may quite easily be exchanged: Flauberts protagonist, Frédéric Moreau, certainly has great expectations, while Dickens’ Pip undergoes a sentimental education. The plot elements are also remarkably similar. In each case, a protagonist who has little to look forward to beyond a dull, mediocre future unexpectedly receives a legacy; and in both cases, they set out to enter society, with all sorts of dreams of what the future holds for them. Both act foolishly, and even meanly; and for both of them, the dreams collapse, leaving merely disillusion. There are further similarities: both protagonists invest the best part of themselves in love for a woman – a love that is destined from the start to be unconsummated; and in both novels, long after the main action, the protagonists meet once again, in scenes of almost unbearable poignancy, the objects of their still unquenched passion. And both novels end with a clear-eyed picture of the lives that we lead, and with a great sadness that things must be so. Although Great Expectations was written earlier, it is very unlikely that Flaubert knew about it. And even if he did, one may hardly accuse him of plagiarism: for all their similarities, the two novels and the two novelists are very different. Dickens’ imagination tended towards the Gothic: the unforgettable description of Miss Havisham in her faded wedding gown, shut away from the sunlight amidst the crumbling remnants of her aborted wedding feast, is perhaps the last great flourish of the Gothic tradition. Flaubert’s outlook tended more towards naturalism, although his insistence on the solidity of the here-and-now barely hides the profound yearnings of a Romantic spirit. Dickens was interested in the moral growth of his protagonist, of the search for values in a society that judges human worth purely in terms of wealth and of social status; Flaubert, on the other hand, focuses on the impossibility of achieving happiness, or even contentment, in a world where moral values are too elusive even to be worth searching for. Pip, eventually, redeems himself morally; in Flaubert’s world, even that is not possible. But Great Expectations is no mere morality tale. No matter how badly Pip behaves, we suspend our moral judgment because, under the circumstances, it is hard to imagine him behaving otherwise. He longs to be a gentleman for one reason only: Estella. There is nothing to indicate that he enjoys leading the life of a gentleman. When he had been a boy, Estella had referred to him as common, and had expressed distaste for his lowly social status. If Pip is ever to win Estella, he must first become a gentleman; and if he cannot become one, he must remain profoundly unhappy and unfulfilled for the rest of his life. Of course, Pip is not to know then that Estella is incapable even of responding to him, let alone of returning his love. So, when the opportunity to become a gentleman presents itself, and when, further, it seems deliberately designed as a step towards the winning of Estella, Pip, naturally, jumps at it: he could hardly have done otherwise. But there is a terrible twist to it all – a twist I shall not reveal here in case anyone reading this is in the fortunate position of still having a first encounter with this wonderful novel to look forward to. The terrible irony at the heart of the novel is contained in this twist, and it turns all Pip’s expectations to ashes. But it is from this collapse that Pip has to raise himself once more, not in terms of wealth or of social status this time, but in terms more fundamental than that: Pip must redeem himself morally. But there can be no happy ending: the final scene of this novel is uncertain and ambiguous, and leaves Pip’s love for Estella hanging still in the air. Perhaps no other novel has depicted with such immediacy the terrible pain of unrequited love. We’re in a different world entirely with L’Education Sentimentale. Strictly speaking, it isn’t really a novel about growing up, as its protagonist Frédéric Moreau, is already a young man when we first meet him. But, as the title suggests, he is still to be educated about the realities of life. In the first scene of the novel, he sees for the first time and falls in love with Madame Arnoux, a married woman older than himself. And, through all else that happens, this love, unrequited though it is, stays with him. Indeed, he views it at times with a sort of religious awe, afraid even to push it towards its much desired consummation for fear that this, too, might collapse in disillusion like everything else. But, apart from his feelings for Madame Arnoux, there is little else to recommend Frédéric to the reader, or to encourage empathy, or even sympathy. Indeed, Flaubert seems to do everything he can to alienate the reader from Frédéric. Frédéric welcomes his legacy because he is too indolent to wish to carve out his own path in life. And once he has the money, he gives himself up to mere hedonism, with little sense of aspiration. He is, further, weak-willed, untrustworthy, selfish, and lacking any sense of purpose or dynamism. He is, in short, lacking virtually any quality we usually consider heroic. The one factor in his favour is his love for Madame Arnoux, that one element of honour and altruism in his character. There is no sudden revelation here, no dramatic event. (At least, the drama does not occur in the foreground: in the background, we are presented with various political upheavals culminating in the revolution of 1848, and its subsequent collapse. But, with a technique that is as brilliant as it is unobtrusive, Flaubert never allows the background to eat up the foreground.) Above all else, Flaubert presents life as drift: the characters merely drift from year to succeeding year, and this passage of time does not make them wiser: merely older. And even this change creeps upon them imperceptibly. And whatever hope for happiness they may have harboured in their youth comes to nothing, because happiness is not possible. It is a vision of utter futility that would be quite unbearable were it not for the exquisite beauty of the writing, a beauty that survives even translation. But the novel does not leave us with a sense of despair. Rather, it ends on a note of what some may consider gratuitous cynicism. In the very last scene, Frédéric, now in his middle age, is with an old school friend, and they reminisce about the time when, as young teenagers, they had ventured into a local brothel, only to take fright at the last moment and run away. And that, they agree, was the happiest time of all. What did Flaubert mean by ending this novel on such a cynical note? One would be hard pressed to think of any ending further removed from the heart-aching uncertainty we find at the end of Great Expectations. By my reading, Flaubert seems to be saying that we are at our happiest when we are still to cross the threshold, before we have gone in to taste the pleasures; for, once tasted, we realize only how far from our expectations these pleasures really are. The only true happiness lies in the future, or in the past. It is a deeply pessimistic outlook on life, and it seems to me the pessimism of a yearning Romantic spirit who has realized that there is nothing really to yearn for: the apparent cynicism is really an expression of a deep sorrow. It is hard to imagine a time when Great Expectations will not be a deeply loved novel. It is equally hard to envisage a time when L’Education Sentimentale will hold a similar place in readers’ affections, although its extraordinary literary qualities will guarantee it at least a small band of devotees. But it may confidently be said, I think, that these two supremely great novels, written only a few years from each other, so similar and yet so different, will continue to be regarded as two of the greatest peaks of the novelist’s art. And those who write semi-autobiographical novels about growing up simply because they find it hard to move beyond contemplation of their own navels would be well advised to read these two novels, if only to learn what masters of the art can make of such themes. The setting of The Brothers Karamazov is a familiar one in Russian literature. It is a provincial town, unrelievedly dull and grey, mean and nasty; at best mind-numbingly monotonous, at worst filthy and evil; peopled by eccentrics and madmen, mean, venal, and petty – people whose souls are dead. People whose souls are dead. Indeed. This town was first depicted by Gogol in the play The Government Inspector, and then, in the novel Dead Souls. In this novel, Gogol quite explicitly painted this town as Hell. Dead Souls was intended to be a tripartite work which, like Dante’s poem, was to depict Hell in he first part, Purgatory in the second and Paradise in the third: the third part was never written, and much of the second part was destroyed by Gogol himslf in what appears to have been a fit of insanity before his death: the only part we have left is the first part – Gogol’s vision of Hell. And this vision of Hell appears to have haunted Russian literature ever since. We see it repeatedly in Chekhov’s works. It is this Hell from which those three sisters longed so to escape to Moscow; it is this Hell that appears through so many of his short stories – “Ward No. 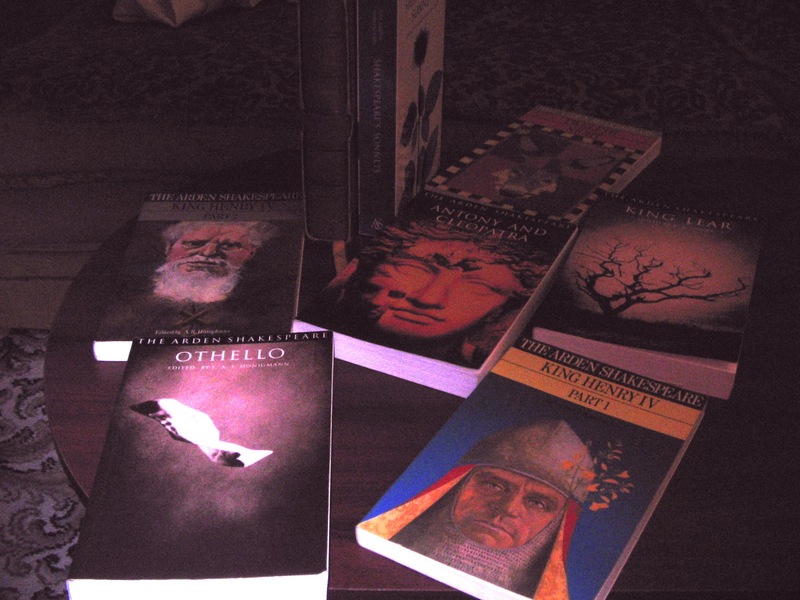 6”, “Ionych”, “In the Ravine”, and the novella My Life. In the wonderful novella Three Years, Yulia does manage to escape: she escapes to Moscow, as the three sisters had longed to do. She doesn’t quite find there the happiness she had hoped for, but she knows well what her fate would have been had she remained. This town is also the setting for Saltykov-Schedrin’s remarkable The Golovlyov Family, where it seems that the only possible escape from this soulless desert is the grave: it is possibly the darkest and most despairing novel I have come across. This town is the setting, too, of Tolstoy’s last full-length novel, Resurrection, in which he looked in horror at the conflagration that was raging under his readers’ very noses, and at the enormity of the suffering human beings inflict on each other as a daily matter of course. And this town appears in Dostoyevsky too – in The Devils, and also here, in The Brothers Karamazov. That grey, grotesque Hell Gogol depicted never seems far from the Russian literary imagination.